When it comes to finding downtown Juneau real estate, I can show you the variety available in this picturesque area. Once I know what you are looking for in your new home, I can help you find a home that meets your requirements. Since there are a number of downtown Juneau homes on the market, you should be able to choose a home that you are going to love for years to come. Take your time in exploring all of the homes for sale and find the perfect one for your family to enjoy. The City and Borough of Juneau itself is larger than that of Delaware and Rhode Island, and it is almost as large as the two areas combined. The downtown Juneau area lies at the base of Mount Juneau and directly across from Douglas Island, so the views that you are going to be able to take in are absolutely wonderful. Enjoy engulfing yourself in fantastic scenery and amazing townsfolk here in Juneau. Visit the capitol building, museums, walk along the docks where the cruise ships tie up in the summer, and enjoy the many shops and restaurants. Cope Park is in the downtown area with tennis courts and beautiful Gold Creek. Walk past the stately Governor's Mansion or take hikes up Mt. Roberts or Mt. Juneau. The Mt. Roberts Tramway in downtown Juneau is a great way to get an overview of the area from Thane to Douglas to miles out the road. There are many events that take place at the Juneau Centennial Hall and the Juneau Arts and Culture Center (JACC). 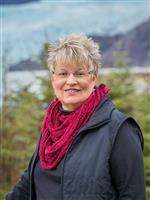 As you browse through all of the downtown Juneau properties on the market, I can help you locate a home that puts you on the path to becoming a downtown Juneau home owner in no time at all. Homes in downtown Juneau are waiting for you to come out and make them your own, so spend some time exploring all of the various options.